A man in Pennsylvania went into surgery for removal of his right testicle due to pain and tissue scarring from a previous injury. His physician recommended surgical removal, yet during the procedure, the left testicle was instead removed. The physician wrote this mistake in the post-operative report, but no real explanation for this mistake was seemingly provided. It is reported that a jury found the physician was "recklessly indifferent" in the treatment of his patient and they awarded the patient $620,000.00 in compensatory damages and $250,000.00 in punitive damages, for a total of $870,000.00 in damages for the wrong-site surgery. Wrong-site surgeries occur more often than may be discussed in the news, and often no reasonable explanation is provided by the medical team who performed the procedure. Sometimes the mistake is harmless, but as in this case, the mistake could have significant and life-altering results for the patient. 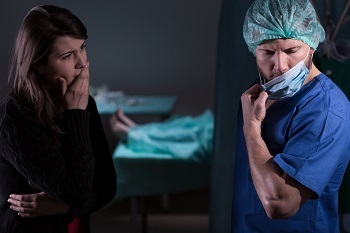 If you or a family member has undergone a procedure that you believe was done mistakenly contact us online or call us directly at 515.222.1110 to discuss whether there is a claim you can pursue against the medical team that performed the procedure.